Is Property Crowdfunding the future of property ownership? Property ownership is the perennial British conversation. This can either take the form of satisfaction over the dinner party table at the rising value of one’s property or being aghast over a pint at the sheer impossibility of owning a home. Home ownership is at the lowest level for 30 years in the UK as rising prices, stagnating wages, lack of supply and the increased restrictions on borrowing cripple first time buyers. We explore whether property crowdfunding offers a solution to falling property ownership levels. Despite the financial crash of 2008 house prices have risen by an average of seven per cent since 1980. In the early 2000s rapid growth in house prices bought desperate buyers flooding into the market but prices began to outstrip earnings to the point that, today, the average house price is five times the average UK salary. In recent years the financial crash has meant banks have radically tightened their lending requirements; over 2007/08 there was a 47 per cent decrease in approved first time loans, since then this rate has never recovered. The percentage of 25 – 34 year olds owning property has dropped from over 60 per cent to under 35 per cent since 1981. So what is the future of UK property ownership? Various solutions have been proposed; the obvious ones, increase supply, reduce planning requirements through to more novel ideas such as off-site house construction; but will these options offer more than a sticking plaster solution? Some have even talked of biting the bullet, to raise interest rates two to three per cent and see the property market re-correct itself by 25 per cent – may be more. Although this is likely to be political suicide in a world where politicians prostrate themselves before rising house values! Even in countries such as Germany, which has historically had a lower proportion of home ownership with a history of good quality rental accommodation and miniscule rises in property value, there are signs that – in response to non-existent interest rates and a thriving economy – people are turning to property investment. Thus in itself is leading some to think Germany is in the nascent throes of a property bubble. An increasingly attractive option is offered by property crowdfunding. Aggregator sites will allow those who have no ability to afford the deposits to combine their funds with other investors to buy property. Even with future financial recessions, there is currently little reason to believe long term property prices will not go up so investors will, proportionally, see their stake in the equity of the property grow. Given economic uncertainty and the political suicide of the move, interest rates are unlikely to go up to give savers a decent return on tax-free funds such as ISAs leaving the stock market with all its complications as a money making vehicle. 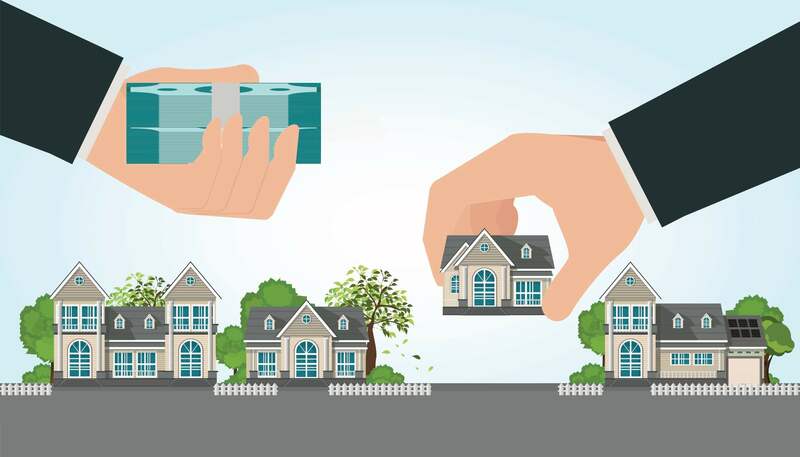 Given the property market is far more nuanced than many believe, crowdfunding gives the investor the chance to diversify geographically (even perhaps abroad), by property usage or by focus of investment – ie equity or debt. In a recent Oxford University paper on the future of property, they conclude that in the future, property may be owned in the form of shares, rather than as complete assets- enabled by financial pressures and technological developments. If home ownership falls in the long-term, it is critical that ways are found to give as many people as possible some form of stake in property, to ensure that everyone is able to access the market and invest. Unless there is radical and probably highly unpalatable change in the very nature of of property ownership, property crowdfunding offers a new and technologically enabled way for all to own property, allowing people to not just take a stake in housing but all property types allowing more people to achieve their financial goals.